I could lie to you, and tell you that we ate all this food in one day (which would still make you think I was a greedy piglet). However, we loved this place so much that we went two days running! 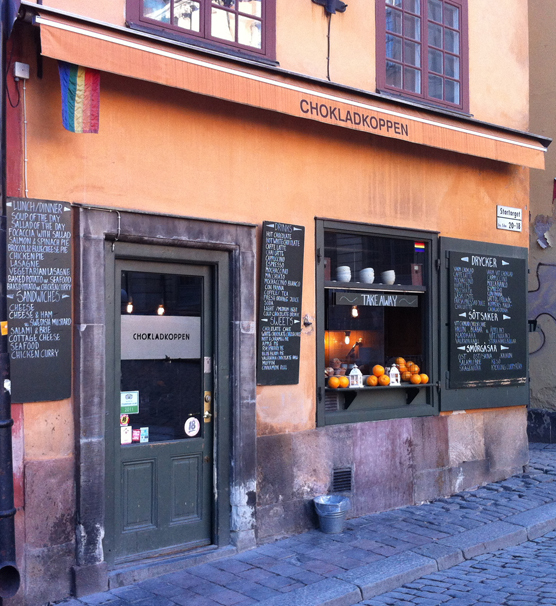 Hidden away in the Old Town of Stockholm, is this little bobby dazzler. It's like stepping back in time visiting the square that Chokladkoppen is on (thus the Old Town I suppose). 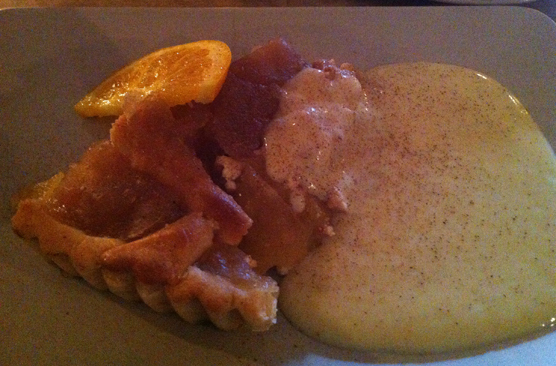 The apple pie below was an open style with a lattice top, and came served with a good dollop of thick home-made custard with a grating of fresh nutmeg. It worked! 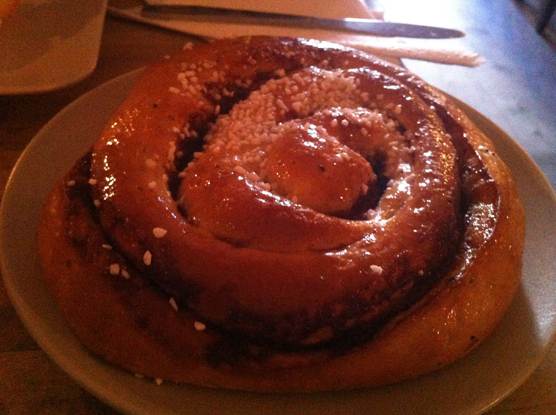 Stockholm is famous for its cinnamon buns, and I like cinnamon. 'Match made in heaven' you say? You're dead right! This was like a glossy, sticky danish pastry with cinnamon sugar wrapped in the layers. It was sprinkled with little chunks of sugar too, just in case you were suffering from low blood glucose. This was nice dipped in hot chocolate - because I'm all continental. 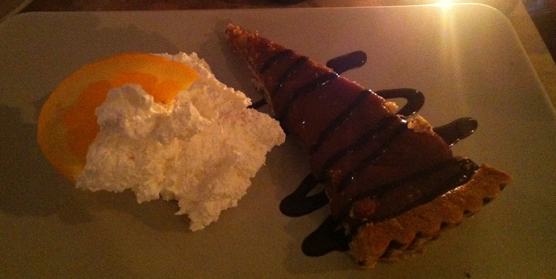 This was the toffee and nut pie. Wow-wee. It was out of this world! Soft and sticky with hazelnuts throughout. 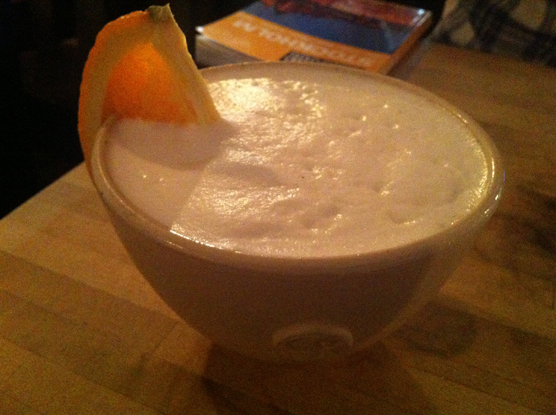 It also came with a huge pile of thick whipped cream. As if I wasn't already destroyed, I had a hot chocolate. Think less 'Cadbury's Options' and more 'bucket of melted white chocolate'. No, you're not dreaming, I said white chocolate. In a bowl. I'll never be satisfied with your bog standard hot chocolate again. The next day we did contemplate going somewhere else for lunch because we were craving savoury goods. We'd already been to Vete-Katten that morning! 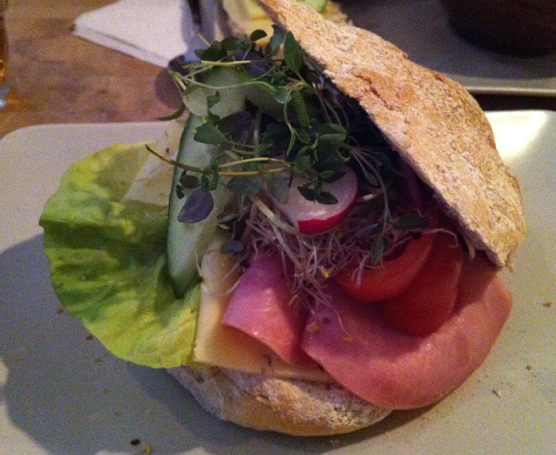 I'd noticed people having these amazing looking sandwiches in Chokladkoppen the day before, so off we trot! Below is their version of a ham and cheese sandwich! 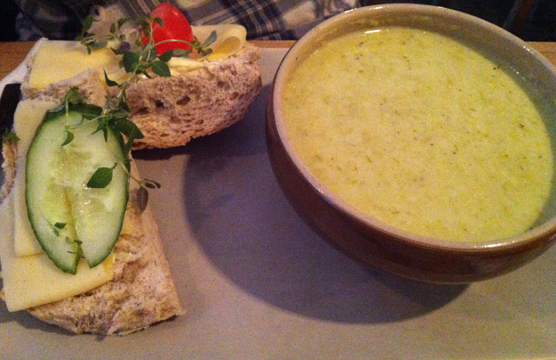 My husband had asparagus soup, which came served with an open cheese sandwich! 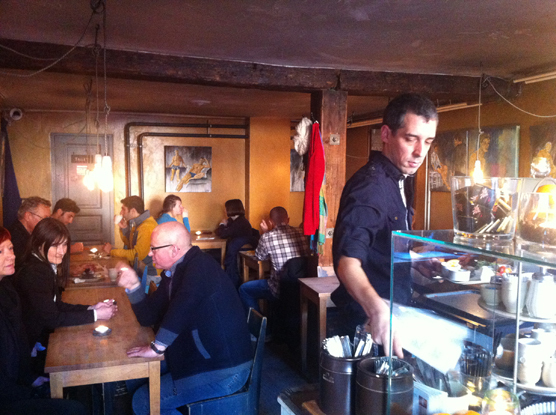 I loved this little cafe. Friendly staff, wonderful food. I want to go back. Now. Disclaimer: I reviewed Chokladkoppen because it blew my little socks off. They did not pay me for doing so.